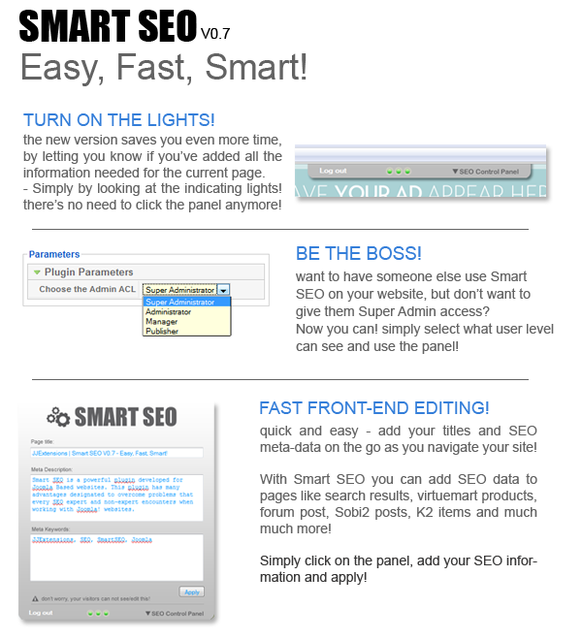 Smart SEO is a powerful plugin developed for Joomla Based websites. This plugin has many advantages designated to overcome problems that every SEO expert and non-expert encounters when working with Joomla! websites. Smart SEO will help you overcome problems with components' SEO compatibility and accessibility to certain pages such as category blog layouts, forum pages, virtuemart categories and products, sobi2 entries and all other popular components. Smart SEO does not remove or edit you existing meta-tags! 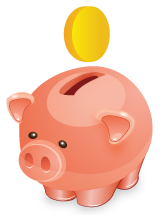 your current tags will be used unless you have not specified any other values for them using the plugin. You can always go back to using them by clearing all the fields on the Smart SEO panel and clicking apply.